@BifBangPow: Rock & Roll All Nite with KISS Collector’s Set from Bif Bang Pow! 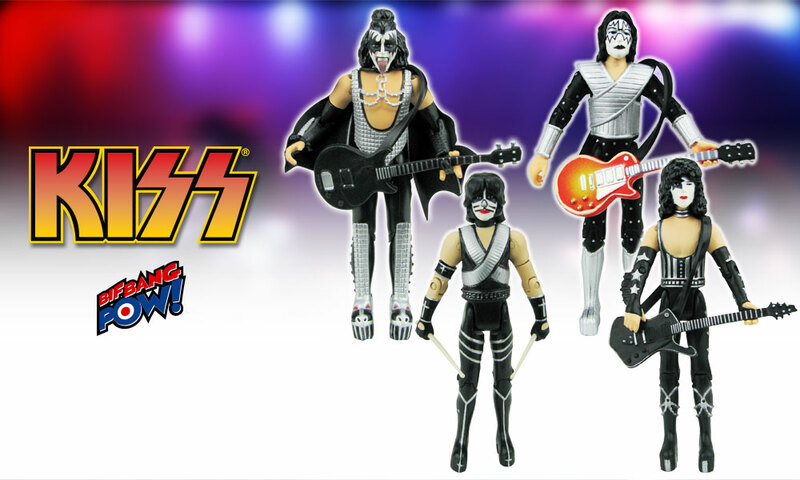 Rock & Roll All Nite with KISS Collector’s Set from Bif Bang Pow! Collectors can now "pull the trigger" on owning one of the most popular rock bands of all time with the KISS Love Gun 3 3/4-Inch Action Figures Series 1 Set from Bif Bang Pow!, in stock now at entertainmentearth.com. Each exceptionally detailed figure was prototyped by Gentle Giant Studios to capture every costume and likeness detail. Each figure features 11 points of articulation and comes in their own individual full-color diorama packaging that folds out from the back to form half of a KISS stage display piece! 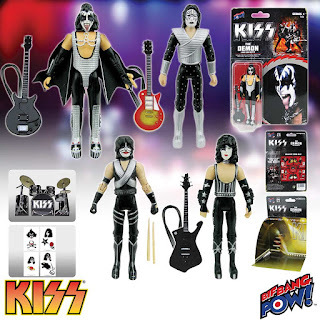 The Demon and Starchild's packaging combine to form one of the band's iconic stages, while the Spaceman and Catman's diorama packaging forms the other. This incredible set features each KISS band member in character-specific clothing from the Love Gun album, along with his own signature instrument accessory. Each figure also includes character-specific temporary tattoos and a unique paper-craft drum set piece. The four paper-craft pieces join to form a full KISS drum set! 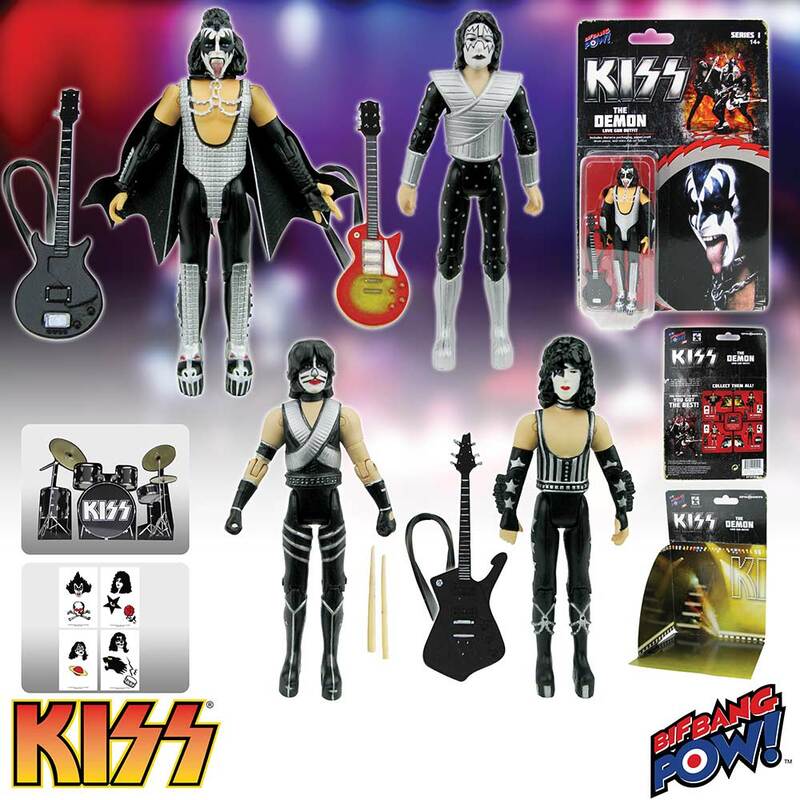 Shop all the KISS collectibles from Bif Bang Pow! at Entertainment Earth.